Training at Beaverdam Kennels is based on your goals for pup and yourself. We will not place any dog on a timetable. All students are allowed to proceed at a pace where they can remain confident while still being challenged to move forward each day. Good citizenship or obedience is available for any breed. This program normally lasts around one month. Some dogs have mastered it in three weeks while others needed more conditioning in a six-week program. Initially, we work with your dog to establish an alpha relationship and then bring you in to finish the program so we are all speaking the same language. Hunt testing has become a big part of our kennel. We are very active in the UKC Hunting Retriever Club program. Our involvement with other testing programs will be determined by the desires of our clients. The event dogs remain in training with us for periods ranging from six months to two years depending on how high you set your goals and how many letters you want in front of your dog’s name. Gun dog training is our primary attraction. Most of our clients that test their dogs began as gun dog enthusiasts and could not resist the competition of good dog work. 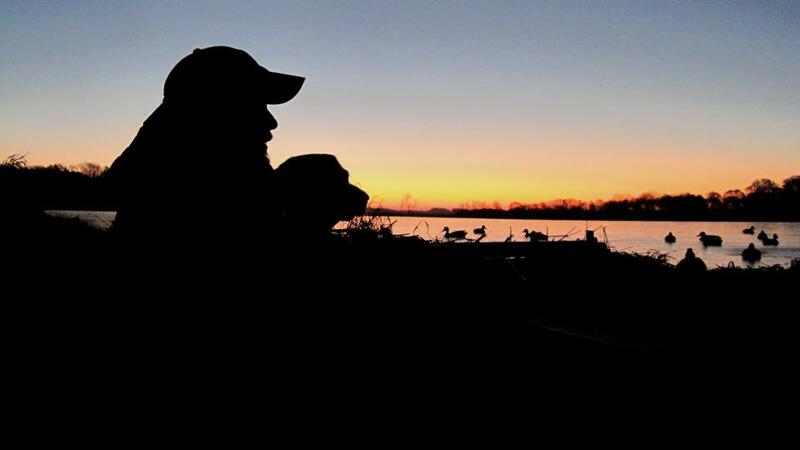 The hunting dog program consists of general obedience, fun bumpers, force fetching, marking, and socialization to the common distractions of the hunting arena. Our training philosophy is very simple. Find something that motivates pup and use it as a reward when pup follows our lead. Details of the program can be found in our book, Finished Dog, which has been released as a Field Manual and on CD-ROM. If you are in need of any training equipment, please contact us. We have used most of the available products and will give you an honest opinion on its merits and faults. We also offer excellent pricing on all of our training equipment.